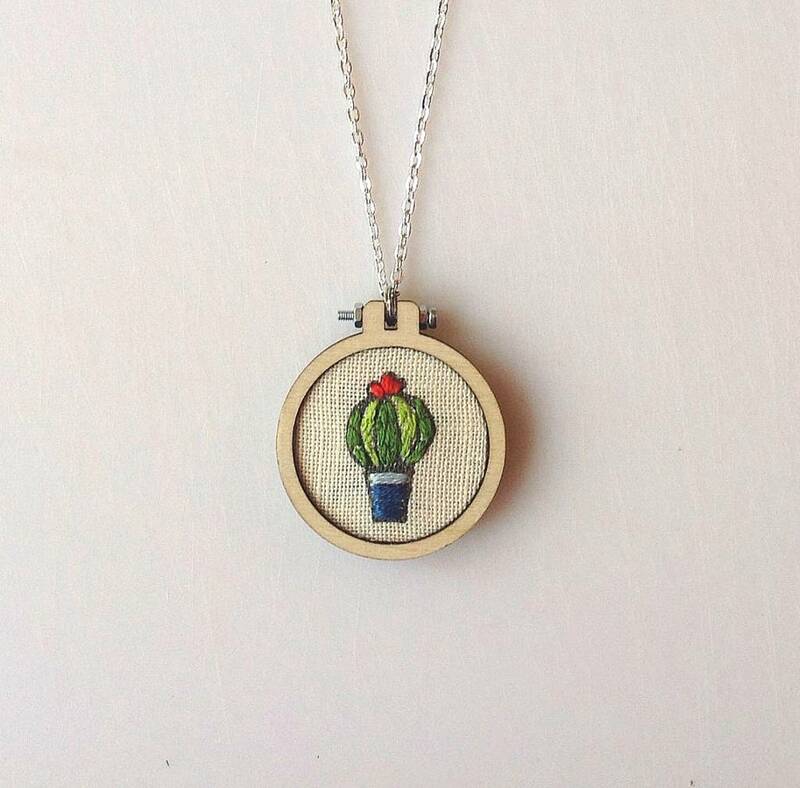 A beautifully designed kit to make your own cactus pendant. 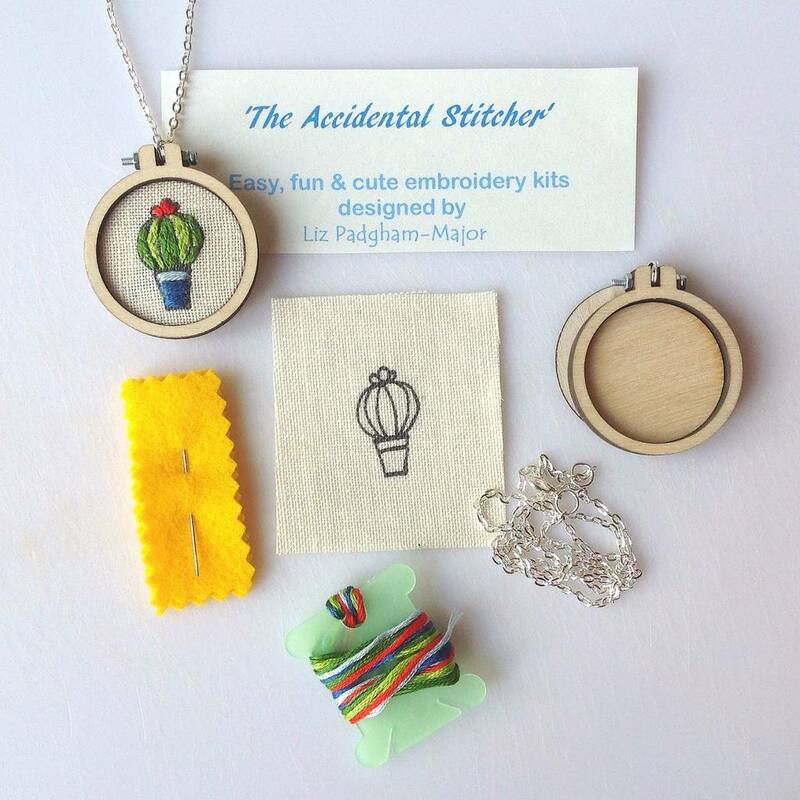 This kit is perfect for the beginner or more advanced crafter who would like to create a cute pendant in a very short time! Designed with the idea of introducing embroidery to the nervous this kit contains the things you need to create this beautiful cactus design necklace with a generous amount of quality DMC cotton thread. A perfect gift for yourself or a friend this kit uses one free style embroidery stitch so you can be as creative as you like. 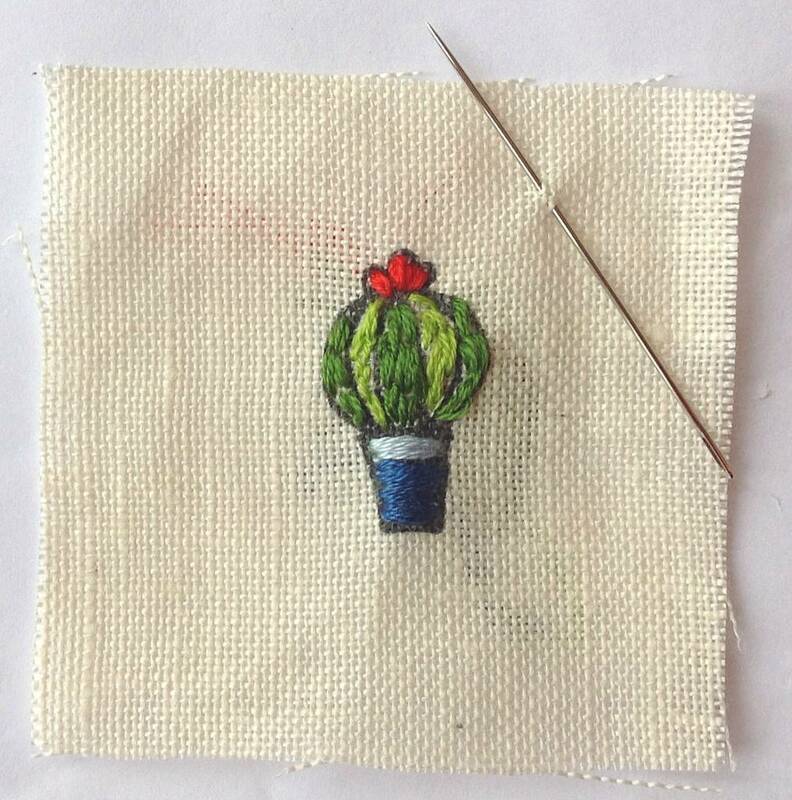 The design is pre printed onto pure Linen and included in this kit are full instructions, needle, wooden hoop, silver plated chain, threads and pre printed design on pure linen. You just need a bit of glue to complete your pendant. Beautifully packaged this is a great idea for a birthday or to try a new hobby. 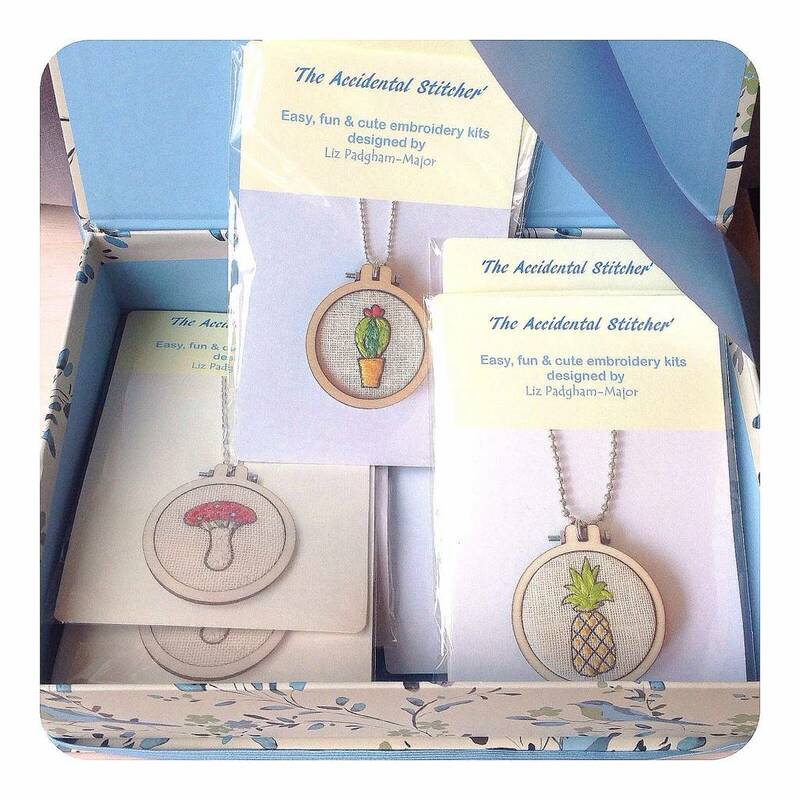 See my other kits, ideal for a Hen or crafty party! Suitable for over 9 years as sharp needle enclosed. Free postage and packing in U.K.
Linen. Cotton. Silver plated. Birch wooden hoop. Diameter of hoop is 1.5". Chain length approx. 18".